This is another outstanding book by Karma Brown that will pull at your heartstrings while it introduces you several real characters in a story that could be happening right now anywhere in America. Once I started this book, I didn't put it down until I was finished because I had to know the outcome. I laughed and cried with the characters and they are still in my mind several days after the book was finished. SUMMARY Hannah and Kate have been friends since fifth grade and years later they are still as close - or closer - than sisters. Kate is married and has two small daughters. 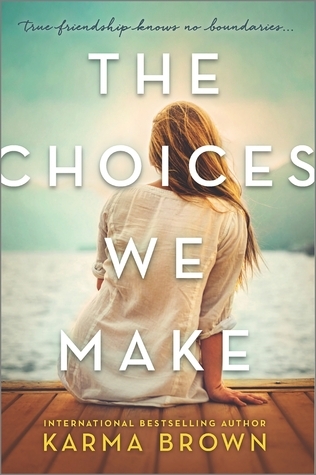 Hannah and her husband have tried for years to have a baby and been unsuccessful and are about ready to give up when Kate offers to be a surrogate. This is the story of their friendship and what it means to have a family and to be a family. Read this book. You won't be disappointed. I absolutely loved this novel -- it had everything -- laughs, a few tears, a little romance, jealousy, friendship and love. What more could you want to spend a few hours to take you away from your own problems? MJ and Chris have been married for 20 years and have two teenage kids. Chris has been spending more time at the casino playing poker than he has been spending with MJ so she decides that she needs to start playing poker, too, so that they can spend some quality time together. Boy does her plan backfire! Because of her history (which I won't go into because of possible spoilers), she is a fantastic poker player and soon becomes hooked on the game and HER time at the casino. Read the book to find out if Love or Poker wins the game of life for MJ and Chris. It's a great read! Get even more book news in your inbox by signing up for our newsletter: http://eepurl.com/mHTVL. Free galleys were provided via Netgalley for these reviews. Girl Who Reads is an Amazon advertising affiliate; a small commission is earned when purchases are made at Amazon using any Amazon links on this site. Thank you for supporting Girl Who Reads. 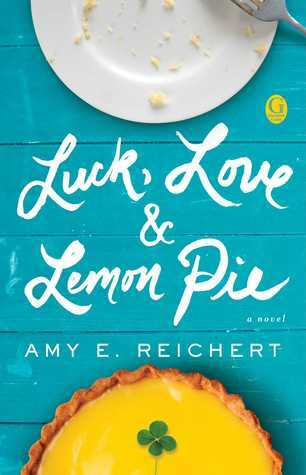 I want to read Amy Reichert's new one because I loved her first book. The other is new to me but looks like one I would enjoy.